Bungie stepped away from their exclusive relationship with Microsoft when they finished Halo: Reach. Once they became an independent company, Bungie agreed to work with Activision in order to publish their first multiplatform game since the Halo franchise began. Then, well, that was it. Bungie's been tight lipped about what their new project was all about, and gamers around the world were left patiently waiting for the fan-favorite studio to reveal their news. A leak, whether intentional or not, has jumped ahead of any massive information blowouts Bungie was planning. Both Kotaku and IGN were sent materials, and you can check out the lot of them in the source link at the base of this post. We've elected to use the one image completely official from Bungie. Their next game will be called Destiny, and it will feature a futuristic Earth in ruin that's guarded by one mysterious alien craft and being invaded by another alien foe. Gamers will take on the role of the humans, or "knights," in order to beat the alien hostiles back. 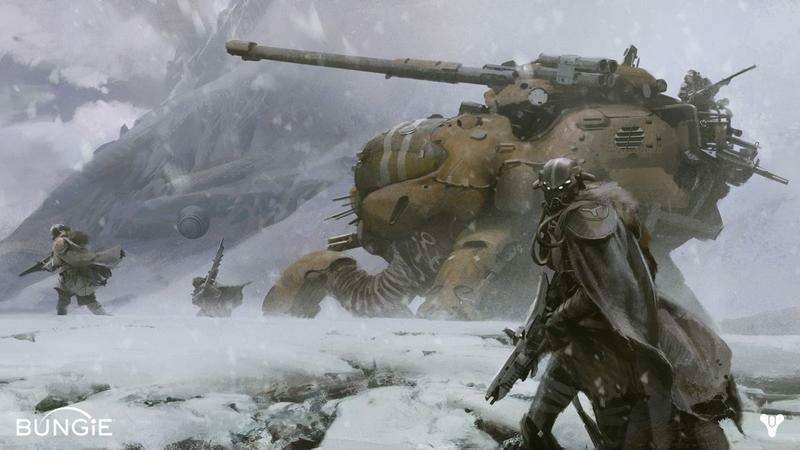 From the materials leaked, Bungie is looking to turn Destiny into more than just a single game. They're looking to create a universe as big and epic as the one that surrounds Star Wars. Go ahead. Take a peek. It's alright. We weren't quite ready, but we will be soon, and we can't wait to finally show you what we've really been up to. Stick around, we haven't even started yet.